Last year’s Jackpot Challenge team winner, TwoTwo Motorsports’ Chad Reed, has got the holeshot again in the 2014 Jackpot Challenge. 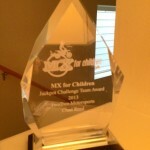 Results of fundraising to date were just posted on mxforchildren.org and show TwoTwo on top with $1,703 raised and\ Red Bull KTM in a close second with $1685. Pro Circuit Kawasaki rounds out the podium with $670 in this “all classes” race to help kids with hydrocephalus. 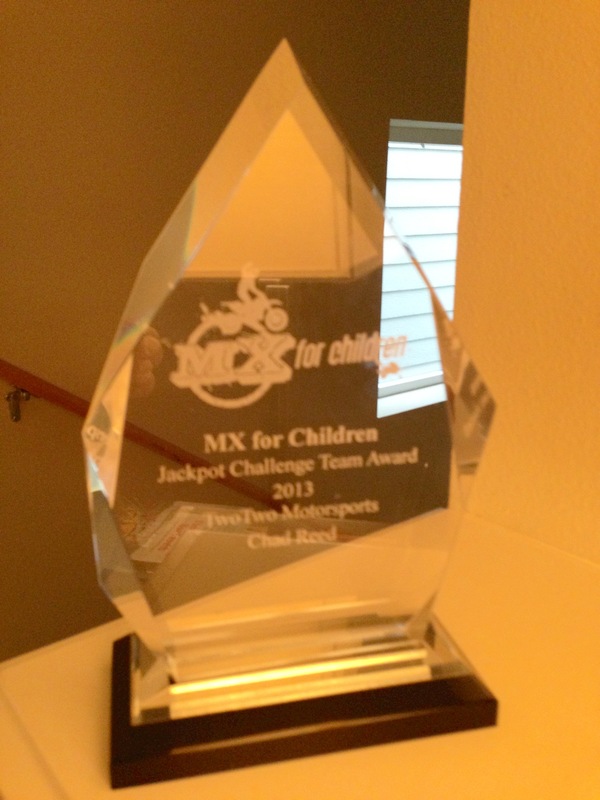 The race to win the Jackpot Challenge continues until April 3, 2014 so there is still time for you to jump to help your favorite team/riders win the Jackpot Challenge (and win some great prizes yourself while helping a great cause!) To learn more, to the Jackpot Challenge page or sign up. This entry was written by admin, posted on February 24, 2014 at 11:35 am, filed under Jackpot Challenge, News. Bookmark the permalink. Follow any comments here with the RSS feed for this post. Post a comment or leave a trackback: Trackback URL.